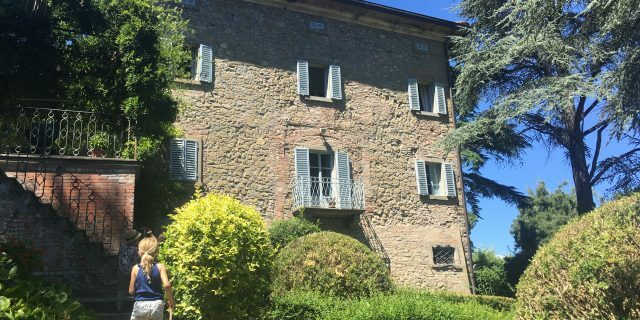 Summer holidays seem a very long way away now but I really wanted to tell you all about my experience in August at Villa Pia because it was so fab. 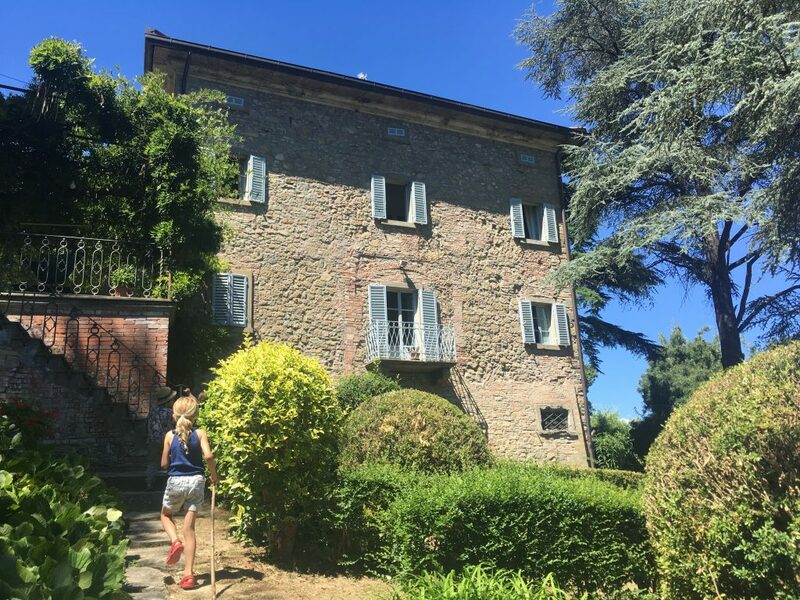 Villa Pia have been sponsoring the chillout room in London for a year and kindly offered me the chance to go and experience their family focussed villa in the Tuscan/Umbrian hills of Italy this summer. There was no expectation I would write up my experience as a blog but I wanted to – because it was the first holiday we’ve had with the kids where we truly relaxed since they were born. We went for a week in August with our 5 and 6 year old and all of us had the most wonderful time. It’s a magnificent site with glorious views all around and we loved the chilled, rustic vibe of the main site. In fact we spoke with other families about how nice it was not to have to worry about the kids wrecking anything because it wasn’t filled with frills and flounces. There’s a swimming pool, indoor soft play room, two trampolines, tennis court, outdoor play equipment, playground, lovely shaded grounds, indoor library and music room to relax and well equipped indoor play room too. The whole place is well designed so that children and adults can all enjoy themselves together in the same space – just like BFLF! We became so relaxed I managed to read two books and had afternoon naps! We were actually staying at night in the castle up the hill (2mins walk) and after the children’s tea and playtime would take them “home” where the babysitter (included) would then keep an eye on them whilst we returned for adult dinner and chat with the other guests. It was great – everyone was really friendly whether they were first timers like ourselves or ten-timers and with groups of friends as some people were. Our children meanwhile played endlessly on the castles, playground, trampolines, swimming pool etc and even my shy 5 year old made friends. I must say the all included food and alcohol were terrific. Apart from one evening when the gin ran out before we’d all had an aperitif (we made do with Aperol spritzers) – it was just lovely, happy bonhomie all the way. We also put our children into the afternoon art and cookery classes (extra – but not much), the kids were delighted and we suddenly realised we didn’t know what to do with ourselves without them of an afternoon. We also had time to visit some wonderful surrounding hilltop villages as well as Assisi – and had hired a car to do so. I cannot recommend it highly enough and upon returning home have started getting a group of friends together to go next year – though we would also be perfectly happy to go by ourselves again. OMG – I nearly forgot to mention The Lunch. Incredible buffet of about 30 dishes. I still dream about it.